Creator and performer Dickie Beau isn’t here to speak the speech of Shakespeare’s Hamlet, he’s here to lip-synch some of the great performances of Hamlet that have ever been recorded. In the midst of his research, though, he became obsessed with Hamlets who have not been recorded, lost to the ephemeral nature of theatre – disappeared like the ghost of Hamlet’s father. “Remember Me,” Hamlet’s father tells him before disappearing into the ether. It is the inciting incident of the play, leading the young prince to determine the truth behind his father’s death. Dickie Beau’s Re-Member Me is about actors and acting and the performance of Hamlet, not about the play or the character itself. It is important to this show that this Shakespearean tragedy is one of the most produced play texts in the English language, because of the number of people who have played him and the various ways he’s been played. The show revisits performances by Sir John Gielgud and Sir Ian McKellan and other British actors who have not yet been knighted. Beau performs as Stephen Ashby, a former dresser at the National Theatre, who was working the night Daniel Day Lewis left the stage after Act 1, Scene 5, believing he had seen the ghost of his own father while performing. Day Lewis was so shaken by the vision, he did not go back on that night, and Ashby had to take what was essential from Day Lewis’ costume so he could dress understudy Jeremy Northam, for Northam to finish the play. Later, in the same production, actor Ian Charleson took over the role – and that’s where much of Beau’s show is focused. Where Day Lewis’ performance was recorded, Charleson’s was not. Where Day Lewis got rave reviews, Charleson’s performance as the replacement in the role may never have been reviewed, if not for friends convincing the Sunday Times’ chief critic, John Peter, to write about it. If theatre shows disappear, one of the few ways they can live on is in reviews. Many of the actors that Beau lip-synchs as part of this show are gay men, talking about Charleson, another gay man, whose performance as Hamlet would be his last before succumbing to an AIDS-related illness weeks later. The discussion of the acting fraternity evolves into a discussion of the LGBT community, and these men’s struggles even amid successful stage and screen careers. I’ve talked a lot about what this show is saying and what it is trying to accomplish, because I admire the thought that went into this performance of performance, this deconstruction of the pieces of acting – and putting someone’s own words into another man’s mouth. I found it baffling, though. It was a strange kind of documentary, without really allowing me to connect with any of the speakers, beyond recognising Beau is able to capture McKellan’s mannerisms, without having to mimic his voice. Blending in songs from the Village People and Barbra Streisand upped the queer content and lay the groundwork for the real focus of the piece, without feeling like a particularly interesting commentary on the work Hamlet or the work of these various Hamlets. 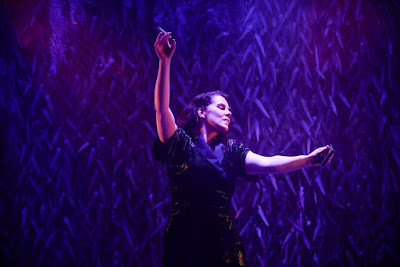 The show is intellectually heady and the disco beats brought in another kind of familiarity, but I still felt emotionally distanced through much of the performance. 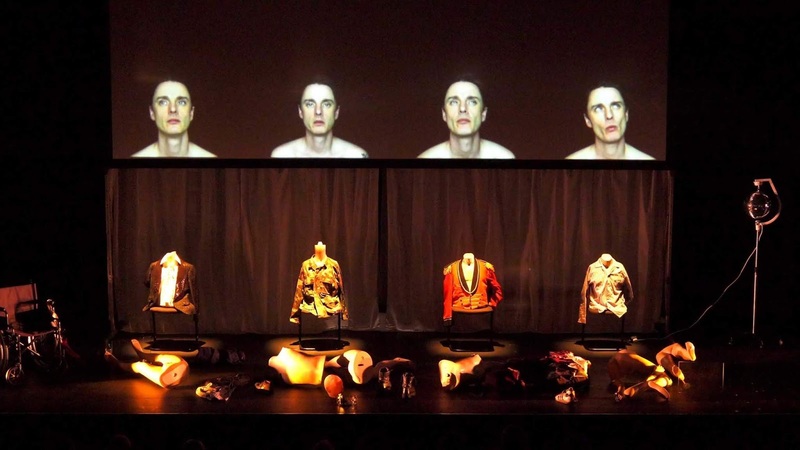 By the end, Beau has reconstructed – re-membered – a handful of mannequins which littered the stage early in the show. They stand as a fascinating tableau, in costumes that allude to Hamlet, but stuck in a hospital ward. 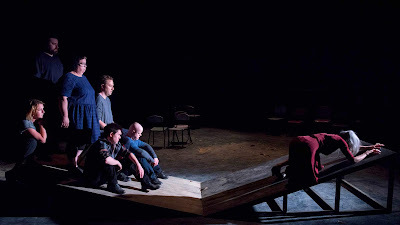 It evokes both the Dane’s death scene (“the rest is silence”) and the AIDS epidemic (“Silence = Death”) that claimed a generation of gay men, and devastated theatre communities in London and New York. It’s a striking image. The great Hamlets come and go. Ian Charleson is gone. Re-Member Me tries to resurrect both, but only does so superficially – stealing the voices of the men who knew them in a way that made me think hard and wish there’d been some other way to know this story. “Dance with me,” she asked. “Dance with me,” she insisted. She crossed the desolate space, walking from one ensemble member to the next, asking for a small moment of joy amongst the rubble and the carnage. Some kind of cataclysm has occurred. The survivors are scattered around the stage. Whatever has happened, whatever trauma has taken place, it keeps happening. The deafening noise and the sharp explosions of bright light upends whatever moment of comfort we can glean when our eyes adjust. How do you get up when the world keeps shifting below your feet? How do you find your voice and song again after it’s been drowned out by the din of destruction? 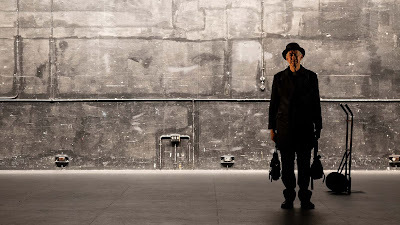 Rawcus’ new work, Song for a Weary Throat, debuted at Theatre Works in 2017 and has been programmed now as part of the Melbourne International Arts Festival. The work has been devised amongst a creative team and an ensemble of performers, under the direction of Kate Sulan. The company creates theatre that draws on dance and visual arts and for this show has collaborated with the Invenio Singers, who lend their exquisite singing voices to this very moving experience. Jethro Woodward’s sound design and musical direction create a particularly memorable soundscape – unnerving and upsetting at times, loud noises keeping the audience on edge. Emily Barrie’s set design suggests a possible post-Apocalyptic bunker, detritus scattered across the stage, chairs and ramps and ladders slowly being woven into the fabric of the performances and dance. The Rawcus ensemble includes performers both with and without disability and all are fully committed to realising Sulan’s vision – an impression and a representation of people finding the strength to stand up and speak up in a world that insists on making that harder every day. There were joyous moments when most of the ensemble took a running jump off the edge of a ramp. And equally upsetting moments when one half of the ensemble watched the others struggling to crawl up a steep incline, unwilling to help them. In the midst of despair, Song for a Weary Throat finds hope – something we’re in desperate need of in 2018. 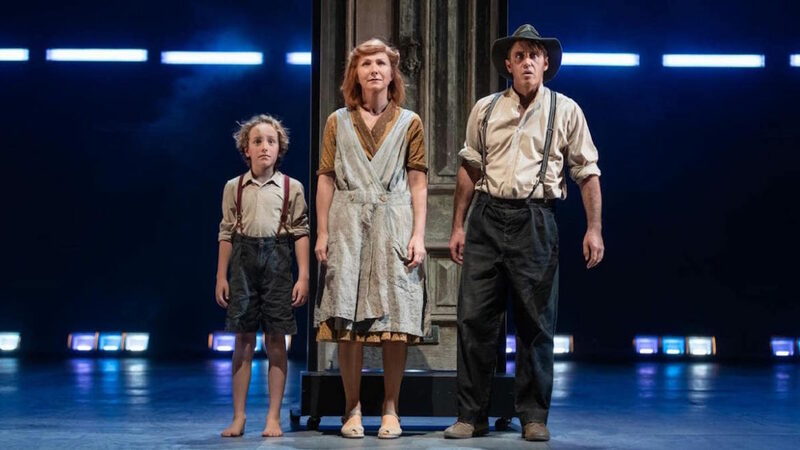 The production is an odd mix of the hallmark qualities of these two companies: Red Stitch’s commitment to text-based theatre, and Little Ones’ reputation for stylised camp. Eugyeene Teh’s design – walls draped with long leaves, plants hanging from the rafters – plunges us into the mystery of the garden district of New Orleans. Even in the confined space of Red Stitch, the set bows to the Little Ones’ proscenium-arch aesthetic, with a widescreen look that evokes a feature film and somehow makes the space look bigger. Katie Sfetkidis’ lighting is elegant and moody, with layers of smoke and haze emphasising the oppressiveness of this family meeting. 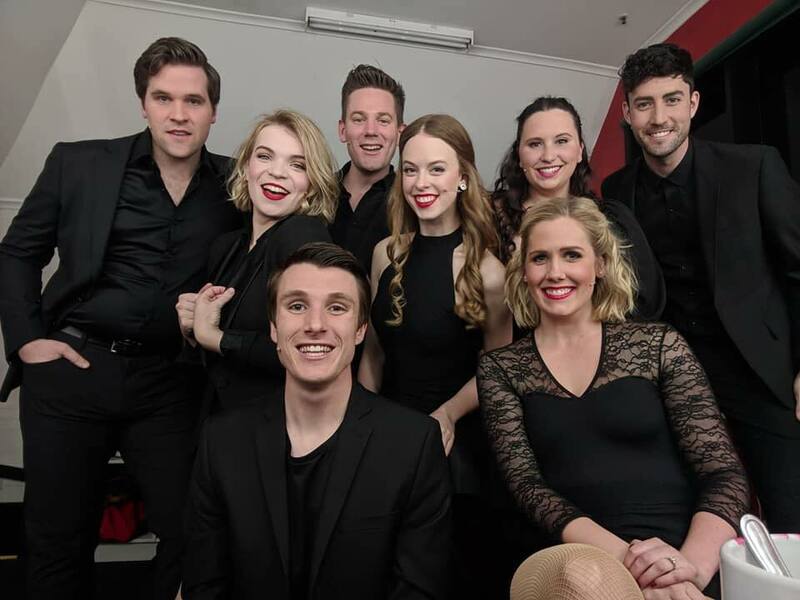 Flourish Productions has been putting on concerts of songs from musicals for the last few years, mostly focused on particular composers: the songs of Cy Coleman, the songs of Ahrens & Flaherty, the songs of Alan Menken and the songs of local composer Matthew Robinson. This weekend they presented On Broadway, a selection of songs from the last few decades of Broadway hits. It’s an eclectic mix shared among a cast of eight singers, four men and four women. Director/choreographer Leanne Marsland has done a wonderful job pulling together a strong ensemble of performers to belt out songs in chorus or in pairs or as solos. 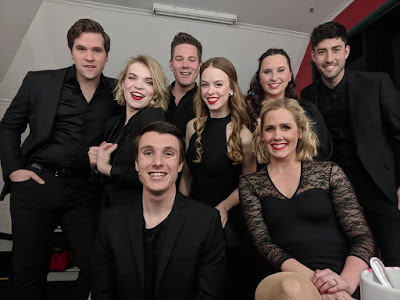 There’s a seamless transition between songs; the ninety-minute concert flowed from one song to the next, without the usual feel of song, pause, song that can happen in this kind of group cabaret. Starting out with “Something’s Coming” from West Side Story got the show off to a strong start. This is a promise of something to be fulfilled and “Lucky Be A Lady” was a fun follow up. Some of the songs worked better out of context from their shows than others. “Someone to Watch Over Me” is a classic from the Broadway songbook, beautifully performed by Catherine Langley, one of the producers of the night. Alec Steedman’s “Wilkommen” and Ellie Nunan’s “Cabaret” from Cabaret made me want to see them in a full production of the show. “Agony” from Into the Woods seemed strangely lacklustre, not garnering the laughs it would have in the show itself. Danielle O’Malley nailed “Don’t Rain on My Parade” and “If You Got It, Flaunt It”. “Cell Block Tango” from Chicago was one of the absolute highlights of the night. The rendition itself was strong – everyone in full voice and embodying the merry murderesses of the musical. Of course, with a cast of four men and four women, this number was four women and two men, which gave it an added queer element which made it more delicious. Much to my surprise, the later medley of Andrew Lloyd-Webber songs from Song & Dance, Aspects of Love & Jesus Christ Superstar was really thrilling. Kudos to Ellie, Lachlan and Danielle for their harmonies there. Most of these songs are absolutely classics of the genre and it’s always a pleasure to hear them. But to have such a strong concept for the concert itself – solid choreography elevating the songs and helping the transitions, On Broadway was Flourish’s strongest concert series yet. Flourish Productions presented On Broadway this weekend only at Chapel Off Chapel. Artifacts and symbols of Indigenous Torres Strait Islander culture sit in glass cases around the stage, high above us, out of reach. Museum pieces kept a long way from the world where they were created. This is colonialism in its simplest form - culturally destructive but explained away as keeping history preserved. As Jimi Bani explains, though, the history and culture of his people, the Wagadagam of the Western part of the Torres Strait, is kept alive by storytelling and language. Jimi’s father Dimple, who was at the forefront of creating this show before he passed away, was a linguist and the latest in a line of Wagadagam Chiefs. Dimple spent a lot of his life finding ways to tell the story of his people, through documentaries and plays and stories and performance. He also tried to get those artifacts of his people returned from the museums of Europe, but even after promising they would return them, they never did. 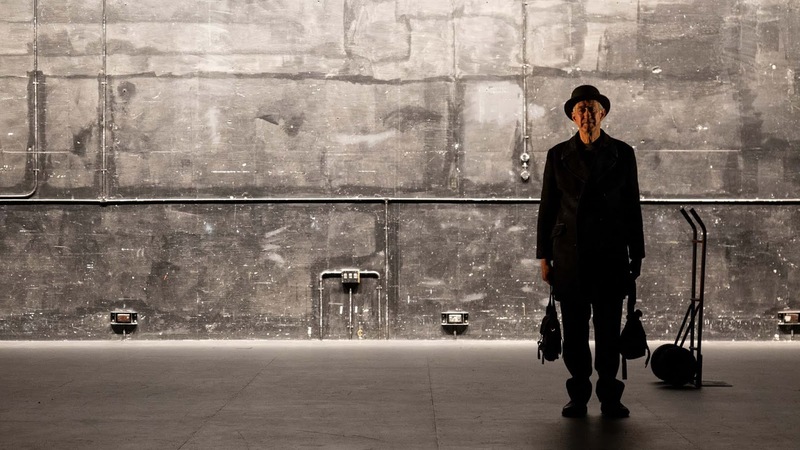 Jimi is a performer in his own right, in a way that we recognise that term – having performed in theatre companies across Australia and in film and television. He has taken up his father’s mantle and has toured this production extensively to get the word out. And the history out. And the dance out. He’s not alone on stage, though. There are three generations with him: his mother and aunt, his brothers and one of his own children. Director Jason Klarwein has harnessed the joyful energy and truth of Jimi’s family and created a beautifully devised piece theatre that in moments is simply the performance of ritual dance or the donning of traditional costume and headdress. There are moments of predictable culture clash – times when son Dimtri won’t put his phone down to listen to stories of his people’s history. But the idea that technology is merely a distraction to tradition is dramatically undermined by its use in the show – cameras used to film dioramas, to film dances, projectors used to retell ancient stories or project a vision of the night sky. Jimi goes through a lengthy process of explaining his family tree early on in the show and promises there will be a test later. It’s a well-worn joke that actually works dramatically later on; we the audience have learned a little of his history and culture and the fact we can recite back some of the Wagadagam language late in the show is proof that a shared culture will never die. 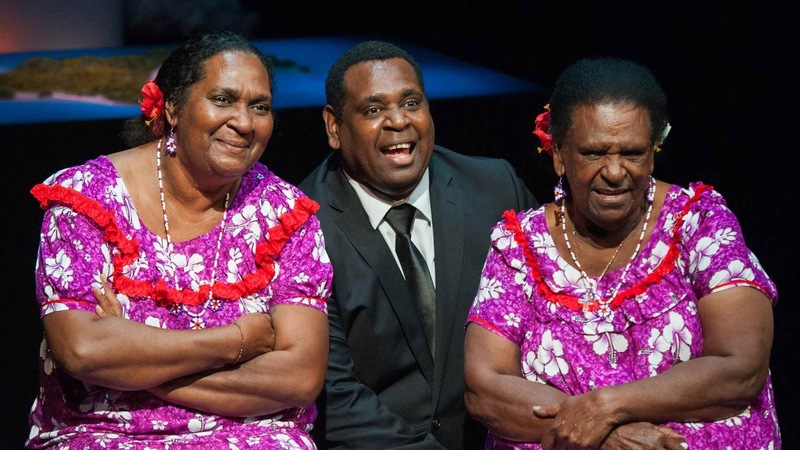 This is a beautiful show that began at Queensland Theatre and has traveled to Darwin and Sydney and now is at the Melbourne Festival. I hope it continues to travel all over this country, because we need to hear Indigenous voices telling their history. And I hope it travels to Europe, because if stealing artifacts is part of their history, Jimi telling his story back to them should be part of it, too. My Name is Jimi closes at the Melbourne International Arts Festival today. In September, I had two reviews published on the Witness Performance website. I'm really pleased to be able to add to the conversation over there. 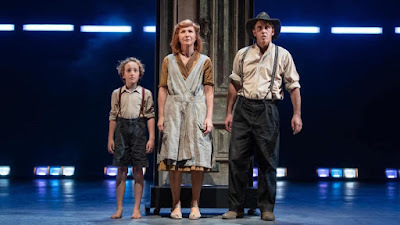 The Harp in the South tells a vastly different story to David Williamson’s Emerald City or Gordon Graham’s The Boys or Jane Bodie’s This Year’s Ashes, but it feels fitting that the city itself finally gets an epic play – a prequel to the plays of Sydney that are a central part of Australia’s theatrical history. This production stands proudly and deservedly alongside its forbears. The formal poses of Hellenistic statues relax throughout the show and permit us to see the apparatuses upon which they’re posed. At one point, Natalie unstraps herself and pops off to the loo and the façade cracks a little. These figures aloft on pedestals aren’t angels or Venuses de Milo. They are women turning their gaze on themselves and asking us to actually listen to their experience. The details of the conversations might seem mundane but the accumulation of those experiences turns into something profound.